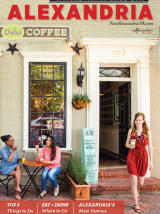 Alexandria, VA—For 10 days and two weekends, more than 60 Alexandria restaurants offer a $35 three-course dinner OR a $35 dinner for two during Alexandria Summer Restaurant Week, August 21-30, 2015. More than two dozen restaurants are also offering lunch deals at $10, $15 or $20 per person in addition to the dinner specials. New Restaurant Week participants include Alexandria newcomer Blackwall Hitch, serving up fresh coastal fare and live music at the waterfront, alongside Hunting Creek Steak, Bistrot Royal and Mediterranean eatery Bistro du Soleil as well as wine tasting room and bistro Sonoma Cellar, opening just in time for Restaurant Week. This year, foodies will also find three-course lunches rivaling dinner menus with creative and elegant courses at some of Alexandria’s most lauded eateries including Vermilion, Jackson 20, Bastille, a la Lucia, Tempo and more. Alexandria Restaurant Week was launched in 2009 by Visit Alexandria and has since been a favorite amongst patrons and restaurateurs, occurring biannually in the winter and summer. Visit Alexandria coordinates and markets the event, which is free for participating restaurants. In addition to serving as an economic driver for Alexandria restaurants, Alexandria Restaurant Week bolsters the city’s reputation as an extraordinary culinary destination, popular amongst presidents and well-versed foodies. VisitAlexandriaVA.com.